We are entering a time when Milwaukee will have the opportunity to develop a very large amount of downtown city acreage at one time from the ground up. Fresh off the press, don’t call it a “district”. Frankly because too many “entertainment districts” in this country fail. Milwaukee now has a chance to define a new major neighborhood for this century. The focus of this new development should revolve around defining what is #AuthenticMKE. What is authentic entertainment in Milwaukee and what SHOULD that mean in terms of real estate and economic development? For starters, Milwaukee needs more jobs, we need more focus on the key drivers of economic development and growth of the population. More businesses of all sizes need to have an office downtown. Economic development should focus around the core economic drivers here in Southeastern Wisconsin. Manufacturing, Water, and Agriculture. Once we get the jobs back to downtown, we need to keep the talented resources here. Brain drain in Milwaukee continues to maintain a higher than desired effect on the emerging professional. How do we fix it? What will enable the community to become more connected with the new entertainment development area in downtown Milwaukee? Flexibility in design and building restrictions would allow for the community to have more impact on the future of the entertainment area. Instead of focusing on what can we do in this moment in time, the development mix should allow for flexibility and innovation in urban planning and housing concepts. 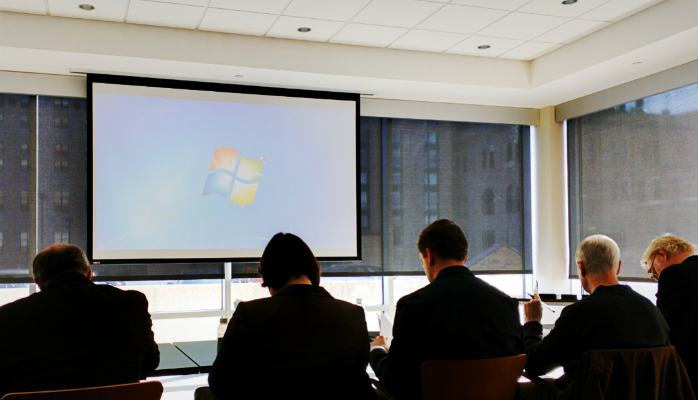 Last Tuesday, I attended the UWM-SARUP Community Design & Development Forum featuring the Bucks Development District. The Milwaukee Business Journal moderator started off by making a comment referencing how real estate development in Milwaukee has changed. He discussed how back in the day it use to be that a small group of “Older white guys got in a room and generally speaking, they made decisions that would impact many years to come. They decided where buildings would go and what they would look like.” Let me say that with confidence, during my time in this industry, I am sure that these types of discussions STILL go on today, just like this. Just because you are doing an information talk to the community doesn’t mean that things are better than they use to be. Engaging the community isn’t just about having an open panel informational forum about development, proclaiming that the conversation changed from behind closed doors and inside ol’ boy social clubs, doesn’t mean “times have changed”. I was fortunate enough to have been invited to that particular informational discussions about these conversations that go on behind closed doors. The invitation for me to attend came through my new network. I was in attendance at this forum because I am a member of the Associates of Commercial Real Estate (ACRE) program class of 2016. ACRE is a 26-week long program that welcomes minority leaders for futures in Real Estate Development, Property Management, and Construction Management http://tinyurl.com/ofycc4l. The program is in partnership with Marquette University and the Milwaukee School of Engineering. ACRE students in attendance represent that piece of what it means to be #AuthenticMKE. How do we maintain an “authentic” Milwaukee if the same major developers maintain control of the fabric and future our city? Decisions are still being made with the same people with the same money and the same concept of what an “authentic” Milwaukee really means. Each building is an opportunity to bring another resource from the community into the picture in order to show that the economic development pie can be shared. Milwaukee should grow the development in phases, slowly choosing any mandates or restrictions to the “function, design, and purpose” of new ideas. Engage new developers whose ideas you may initially challenge. Spread the idea of new development beyond just the empty lots downtown. Each building within a eight block radius will be affected by this development, if we do it the right way and engage the community. This is a big decision! When Milwaukee is considering how to replace the cement brick known as the BMO Harris Center for the 2018 Milwaukee Bucks season, the focus will be on engaging the community during “day time” hours and connecting the neighborhoods to downtown. What should the Milwaukee Bucks Development build that will help connect the community and engage downtown during non-Bucks games hours. How should they make sure to include the community in those planning decisions being made, right now!